Eric Crawford was born in Dayton, Ohio, where he began playing the double bass at age 10. He received his Bachelor of Music Education from the Eastman School in Rochester, New York and his Master of Music from Wichita State University. Mr. Crawford has played with the Wichita Symphony Orchestra for 18 seasons and with the Music Theatre Wichita pit orchestra for 14 seasons. He currently teaches orchestra at Wichita East High School and serves as the orchestra curriculum coach for Wichita Public Schools. 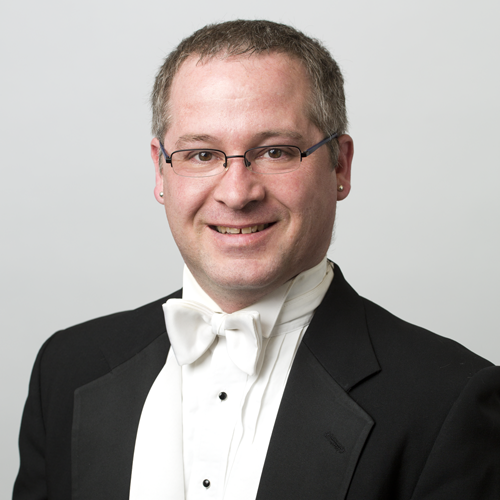 Since the spring of 2015, he has served as president of KASTA, the Kansas chapter of the American String Teacher’s Association. An active clinician and guest conductor, Mr. Crawford has directed numerous student groups throughout the region. He is also the program director for “Bows at the Barn,” a summer camp for middle school and high school orchestra students.